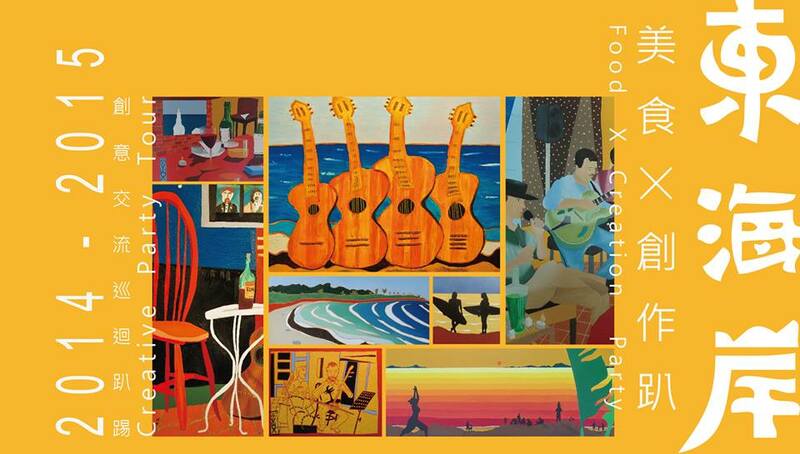 FOOD X CREATIVE PARTY TOUR – OCT 11TH, 2014. 東海岸美食X創作趴 第一站> 東海岸是許多藝術創作者的生活圈 在集結了畫家/導演/DJ…等外國藝術家的創作後 我們讓美食來串連一場又一場的創意交流趴 第一站就從都蘭的哇軋力共開始吧! 時間: 10/11(六) 地點: WaGaLiGong 哇軋力共 都蘭村89號 089-530373 生活創作展 10/11~11/14 (藝術家Tim) 15:00 開始 17:00 創作生活故事分享會(畫作/影音的沙龍講座) 18:00 藝術家Tim的美酒+美食分享體驗 19:00 一筆完成人像畫 (藝術家Tim) 美酒+食體驗 NT$100/份 一筆完成人像畫NT$200/人 現場並提供BBQ和比利時啤酒單點 23:00 影像播放: Archipelago: Track Three – Joel Joel (導演:Mark Jackson). First stop of the East Coast Creative Tour is at WaGaLiGong 哇軋力共. Number 89 of the ‘Dulan strip’ on Taitung’s highway 11. An exhibition of original oil paintings by British artist Timothy Nathan Joel. Opening party – Saturday October 11th from 3pm onwards. At 5pm there will be a presentation featuring works by artist Joel Joel . A screening of Archipelago: Track Three by Mark Jackson will be shown at the end of the night .Cocktails and other drinks will be available all evening. A South African flavours BBQ and ‘Cheese, wine and salads’ tasting table will be happening for guests to enjoy. Cool tunes provided by Tienie Wessels and a mix of good company promise a fun night of many talents. So come join us in the sunny south for the 10/10 weekend.